At Last! 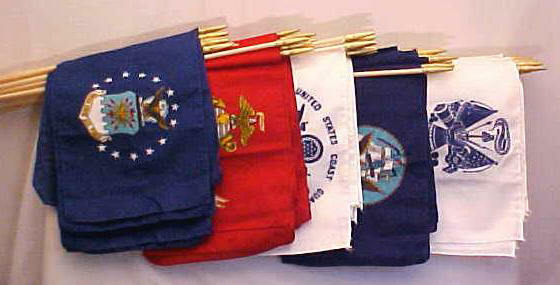 Call them what you want: Military hand held flags, military stick flags, armed forces spearhead flags. 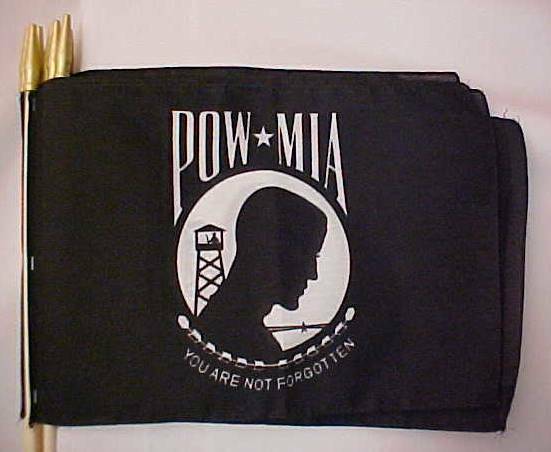 These are Armed forces stick flags on a proper staff approximately 30" long enough to stick in the ground without the flag laying on the grass. 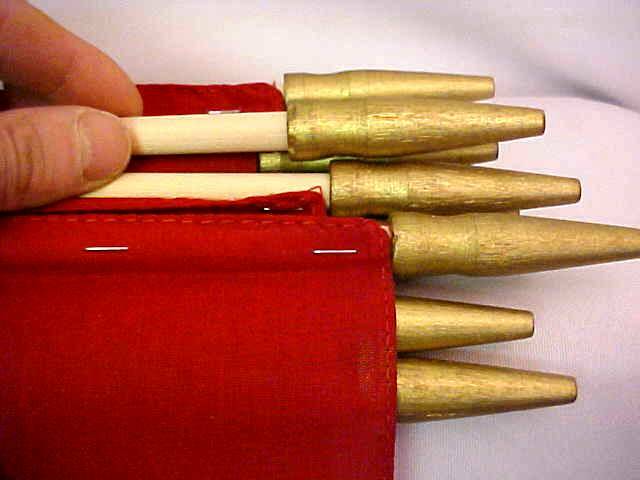 Hefty 3/8" thickness with massive wood spear tip. These are absolutely beautiful rich quality silk like polyester with great colors and detail. 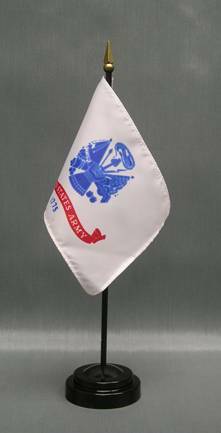 Great for parades, gardens, home decoration, floats. Call me a flag geek, but I just get all excited about dowel quality. Just look at that rich, thick fat old 3/8" dowel. Perfect size for the back of a grave marker. Great natural wood color too. And by the way, the flag is finished with FOUR staples. 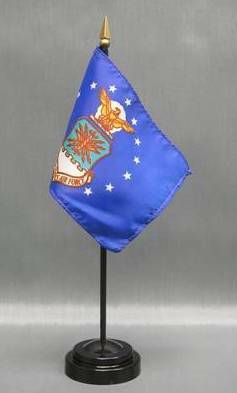 12x18" Spearhead Flags on 30" 3/8" Wood Staff. 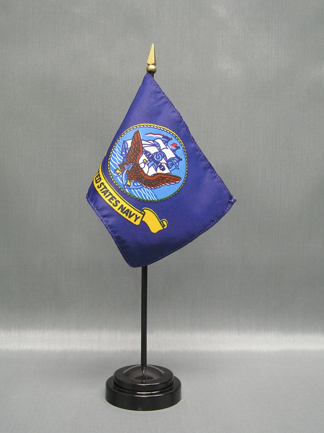 As is standard in the flag industry, actual staff lengths and flag size may vary from the sizes quoted. 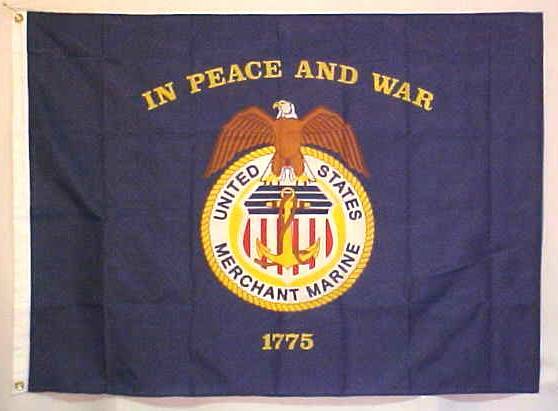 There is a three flag minimum because a single flag shipped by itself is too likely to get broken. $26.00 per dozen, we have only about four dozen. These are made in China. 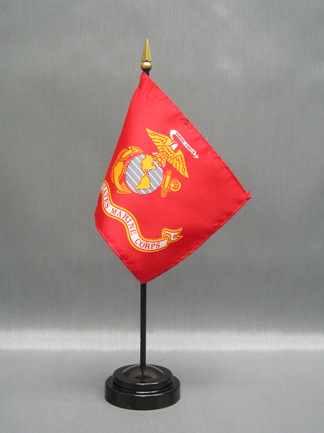 4x6" Plastic Armed Forces Flags on a 10" gold plastic spear tip staff. This one is a material that feels like cotton but is not. It is a type of polyester. 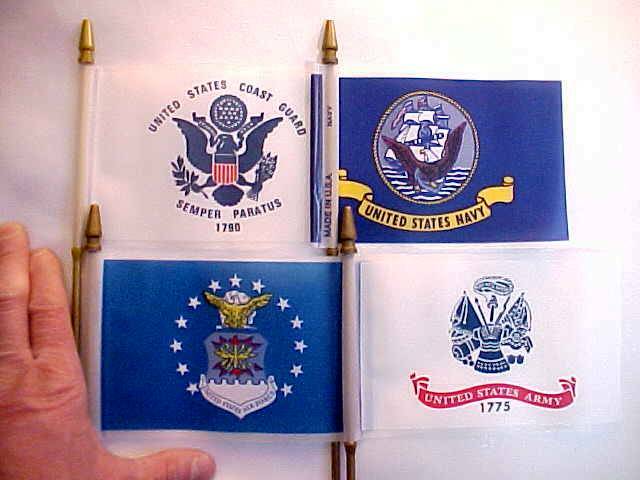 Merchant Marine spearhead flags can NOT be assorted with the other 6 military stick flags shown above to achieve the quantity prices.